The mystery of how groups of fire ants survive floods has baffled biologists for decades. But now scientists have worked out how the ants bind together in order to build a kind of raft that enables them to float ‘effortlessly’ for days. Biologists and engineers used mathematical modelling and time-lapse photography to unravel how the fire ants self-assemble into their life-preserving raft using different body parts, including their claws and mandibles. They found the tiny creatures linked their bodies together in a similar way to how waterproof fabric is woven. Mechanical engineering graduate student Nathan Mlot, professor of industrial and systems engineering, Craig Tovey and David Hu, joint professor of mechanical engineering and biology, at Georgia Tech, described how the fire ants act collaboratively rather than individually to form a water-repellent, buoyant raft in the journal Proceedings of the National Academy of Sciences. An individual ant’s exoskeleton is moderately hydrophobic so it can shrug off water, but the ants enhance their water repellence by linking their bodies together. The researchers froze the fire ants to observe that they construct rafts when placed in water by gripping each other with mandibles, claw and adhesive pads at a force 400 times their body weight. The result was a viscous and elastic material that is almost like a fluid composed of ant ‘molecules,’ they said. The ants spread out from a sphere into a pancake-shaped raft that resisted submerging them in water. ‘It’s a real thrill unravelling what at first looks like chaos,’ Professor Tovey said. 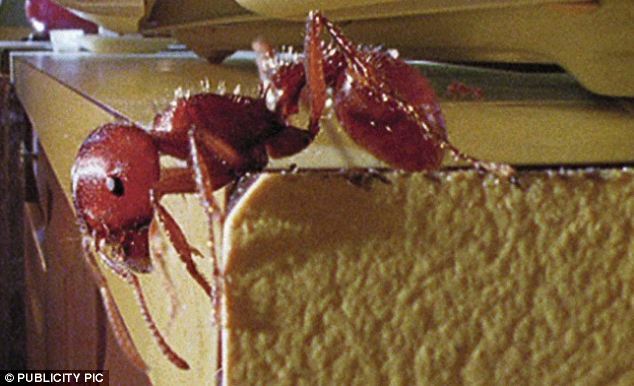 Professor Tovey and the team tracked the ants’ travel and measured the raft’s dimensions and found the ants moved using a stereotyped sequence of behaviour. The ants walk in straight lines, ricocheting off the edges of the raft and walking again until finally adhering to an edge, Tovey said, before explaining that the ant raft is water repellent because of the animals’ cooperative behaviour. The ant raft provides cohesion, buoyancy and water repellence to its passengers, but even more remarkable, is that it can be assembled in less than 100 seconds. The raft is also self-healing, so that if one ant is removed from the raft, others move in to fill the void. ‘Self-assembly and self-healing are hallmarks of living organisms,’ Professor Hu said. The research could have application to logistics and operations research and material sciences, including the construction of man-made flotation devices. It also could impact the field of robotics, the team said. ‘In autonomous robotics, t hat’s what is desired – to have robots follow a few simple rules for an end result,’ he added.